As I am writing this, I am ill. Being stuck in bed means I am and for the first time blogging from my phone. Hopefully everything makes sense and spelling is fairly correct. So what have I been up to this week? Much has happened since my last post. First being I got sick which I am recovering slowly yet terribly. I sure how I got sick but I know it felt like it came suddenly starting with a scratchy throat. For the moment with some medication, I can function with little interruptions. On Wednesday, I paid a visit for the first time to buy some airsoft equipment which I am happy turned out well. Though I am short two magazines and some clothing, over the coming month I might be able to fill it all in. In the mean time here a pic of all the things I bought. 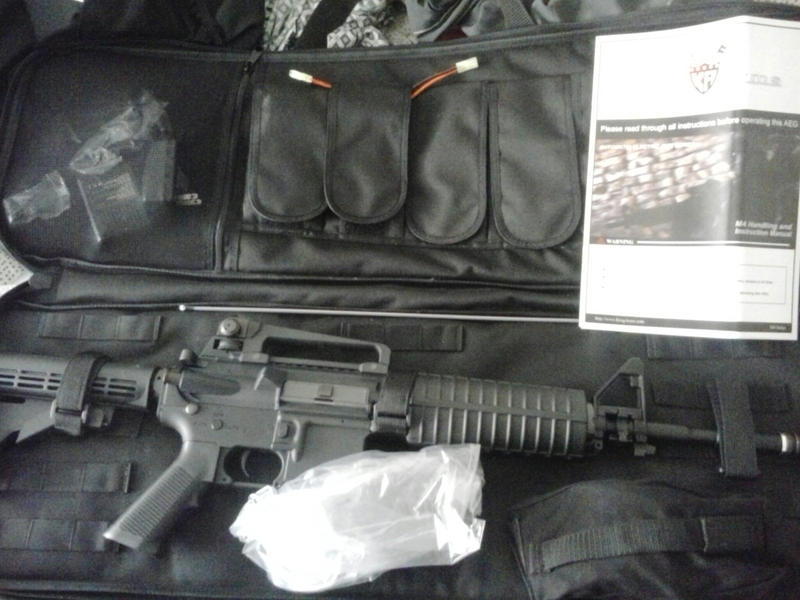 In the picture is my brand spanking new airsoft gun from King Arms with a gun bag for legal reasons. I bough a lithium polymer battery and a smart charger. Though travelling to the store was tough, I think my entertainment budget is effectively maxed out for the year if I don’t find a good way to make up for losses. Speaking of entertainment and losses, my adventures in The Long Dark will be on hiatus for awhile. I am starting to feel a bit burnt out from travelling. I think my sickness is getting to me. However on good news, I did record some Pulsar Lost Colony so those episodes will be uploaded and published. Also some time soon, I will convince Jessica (“Allahweh”) to start a co-op playthrough of Starbound. I hope soon since my summer scedule is getting packed. Speaking of which, recently I had a nice chat on her Gaming Goddess Podcast. We talked mostly about streaming and space games. I have to admit I was nervous but I think I was okay as a first timer. Definitely would like to come back on her show. But for now, I need to rest and heal. And hope I am better tomorrow.